...have provided music for all types of functions including weddings, corporate dinner dances, birthdays, pub gigs and charity fund raisers. We play all sorts of music from The Beatles, The Eagles and Crowded House to The Manic Street Preachers, Maroon 5, Oasis, Kaiser Chiefs and The Zutons. All decades are covered from the Rock & Roll era to the present day. WANT A 1960'S THEMED EVENT? We can provide a night of music from the 1960's to make a different themed event. We can provide a easy listening night with our repertoire of slower songs including covers of Elton John, Eric Clapton, The Eagles etc. City Limits were formed in 1988. The original line up of the band was Tim Millard, Lloyd Munro, Graham Le Poidevin and Darius Rowland. 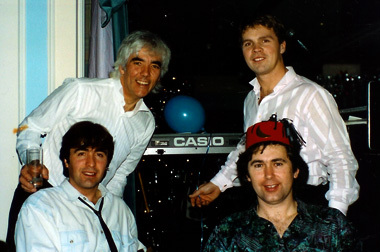 The band's first residency was at the Mallard Hotel, Guernsey, starting on 10th January 1989. After a while, Lloyd left to try his hand (and other things) in England playing with a tribute band. To fill the gap, Denis was asked to help out with vocals and acoustic guitar. At the same time, Glenn was asked to join on lead guitar and fitted in perfectly with his "Rock" background. It became clear to all that the vocals of Tim, Denis and Glenn harmonised well together and Denis became a permanent band member. Darius left the band to pursue his career as a commercial pilot and was replaced by Colin on drums. After a spell, the band had decided to "call it a day". But Martin joined on bass and the band carried on. 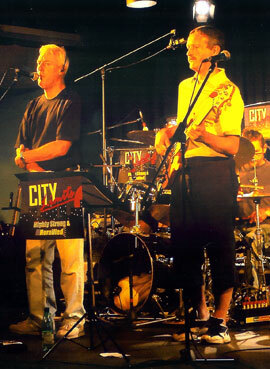 After the slight interruption, City Limits have gone from strength to strength and have performed many memorable gigs. 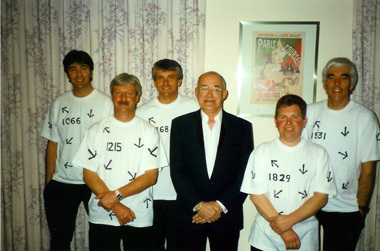 We have achieved our dream of performing with a full string and brass ensemble for our 1000th gig in March 2004. We repeated the performance due to popular demand in July the same year, and in June 2007. Another performance with the string and brass ensemble is planned for July 2009. More of these on the "Memorable gigs" page. Tim Millard is the only remaining member of the original band. We have always said that we will carry on until the bookings cease, and when Glenn gives up the booze! 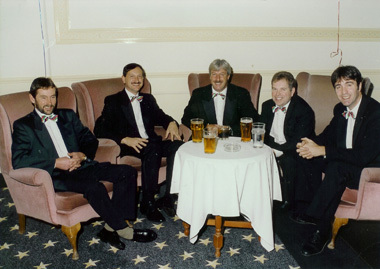 Happily the band are still very busy with the bookings coming in, and long may it continue.